Four months after experimenting with biojet fuel to fly aircraft, the government still has no proposal to use this in regular flights. NEW DELHI: Four months after experimenting with biofuel to fly aircraft, the government still has no proposal to use this in regular flights. The country’s first ever bio jet fuel-powered flight was successfully tested between Dehradun and Delhi on August 28 last year, paving the way for use of alternative fuels in the aviation sector. However, the aviation ministry is yet to put up any proposal to operate regular flights with a blend of bio jet fuel and ATF. An official said, about 450 litres of bio jet fuel was used to fly the aircraft last year and adequate stock of such fuel would be needed for regular flights. There are plans to scale up production of biofuels, he added. Many union ministers including aviation minister Suresh Prabhu, environment minister Harshvardhan, minister of petroleum and natural gas Dharmendra Pradhan, and minister of road transport and highways Nitin Gadkari were present at the IGI airport in Delhi when the first such flight arrived from Dehradun. 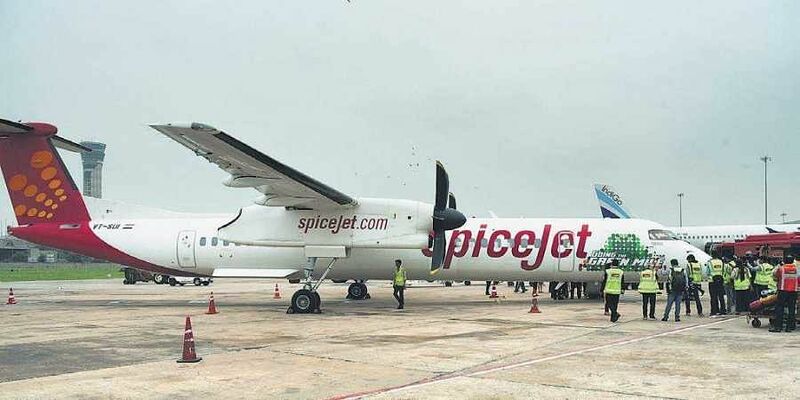 A SpiceJet flight was tested with one of the two engines of the plane running on a blend of 25 per cent bio jet fuel and 75 per cent ATF (aviation turbine fuel), with the other engine running on ATF alone.